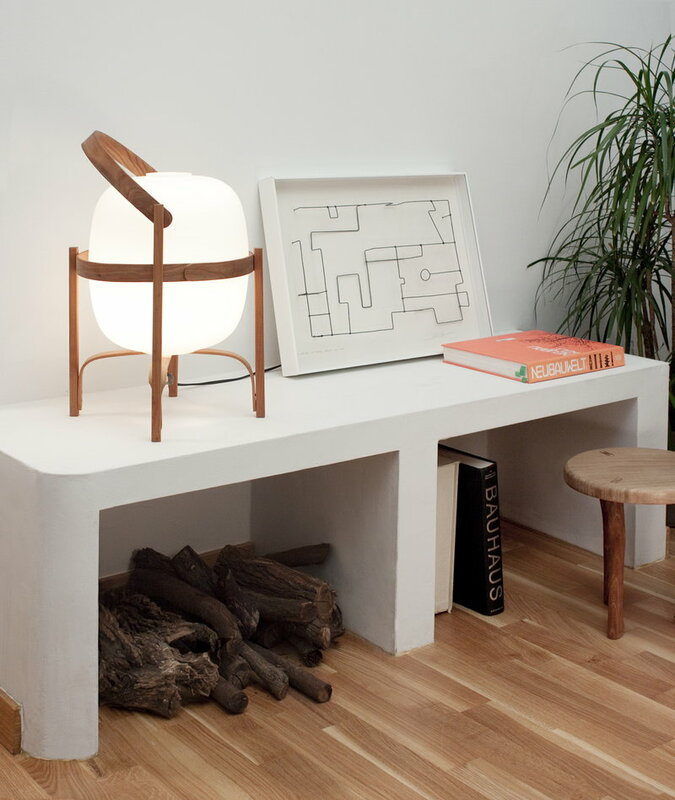 Santa & Cole’s Cesta is an iconic table lamp, designed by Miguel Milá in 1962. 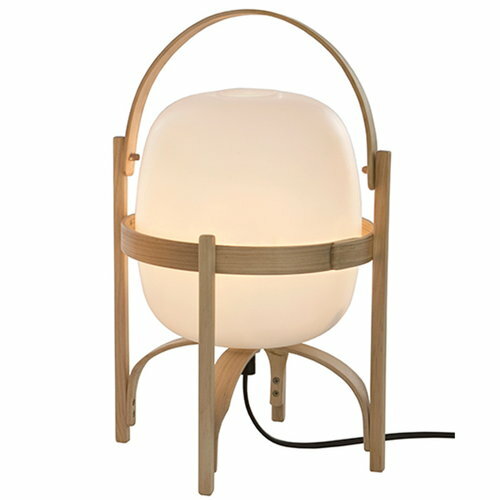 Cesta comprises a beautiful opal glass shade and a cherry frame formed with traditional steaming techniques. 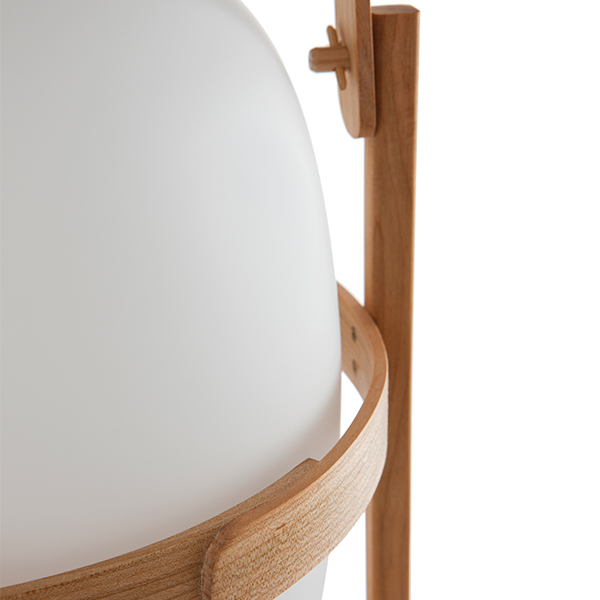 The dimmable light creates pleasant ambience, and the wooden handle makes moving the lamp easy. 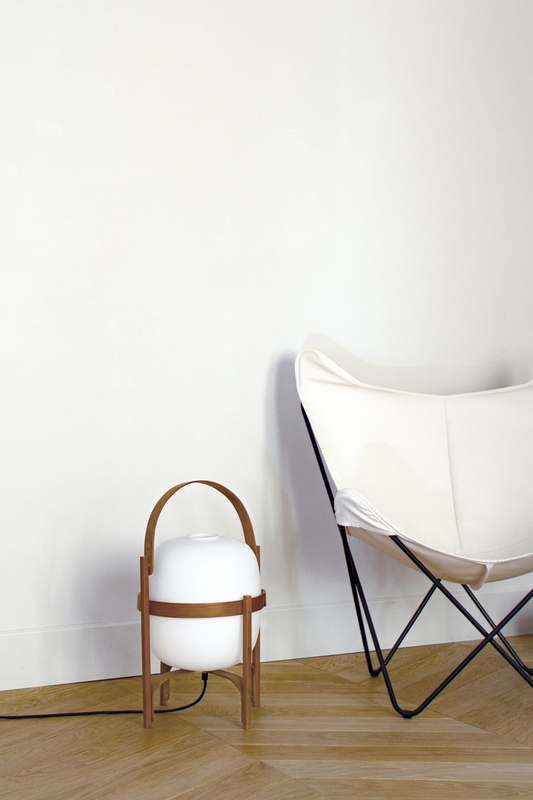 Reminiscent of Japanese lanterns, Cesta catches they eye with its charming design, and it can be used both as a table and floor light. 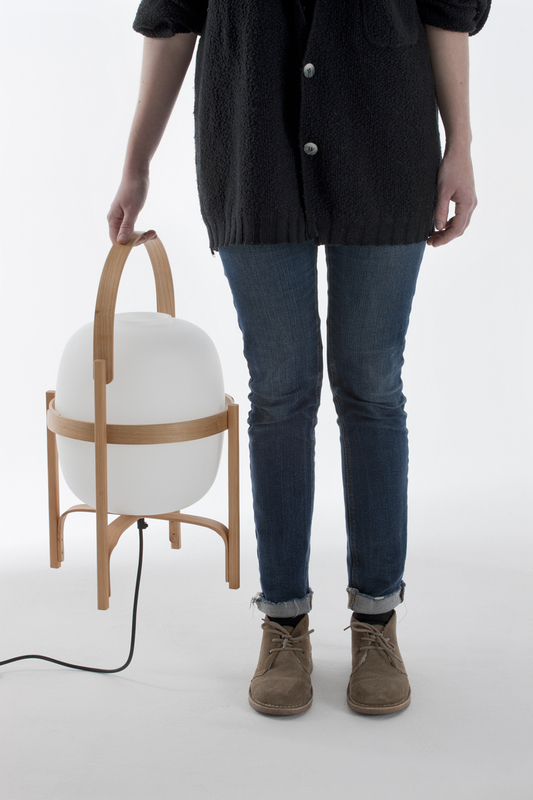 Miguel Milá (b. 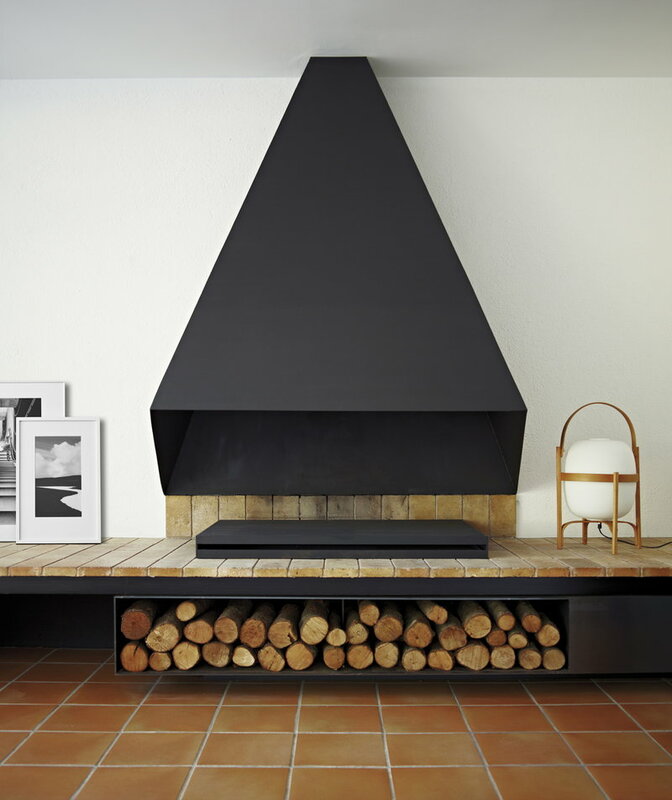 1931) is of the pioneers of modern Spanish design. 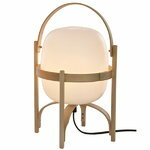 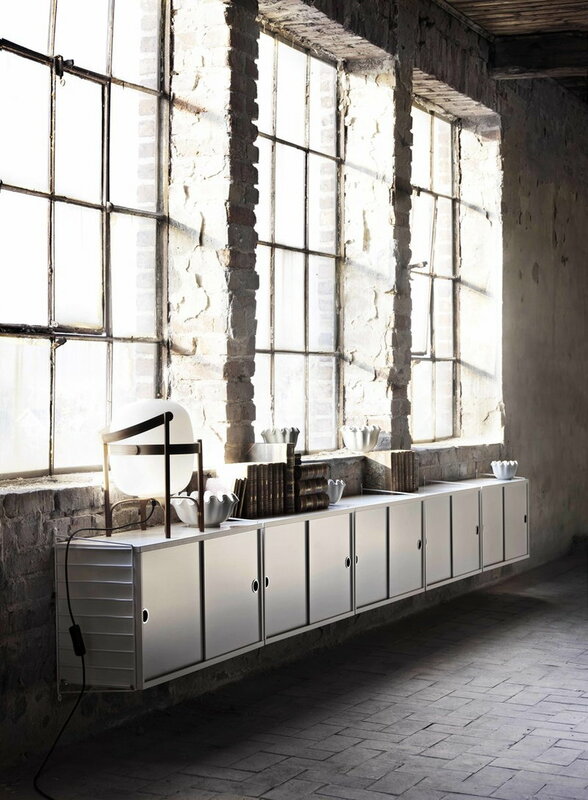 He started his career at the 1950s when industrial design was just arriving in Spain. 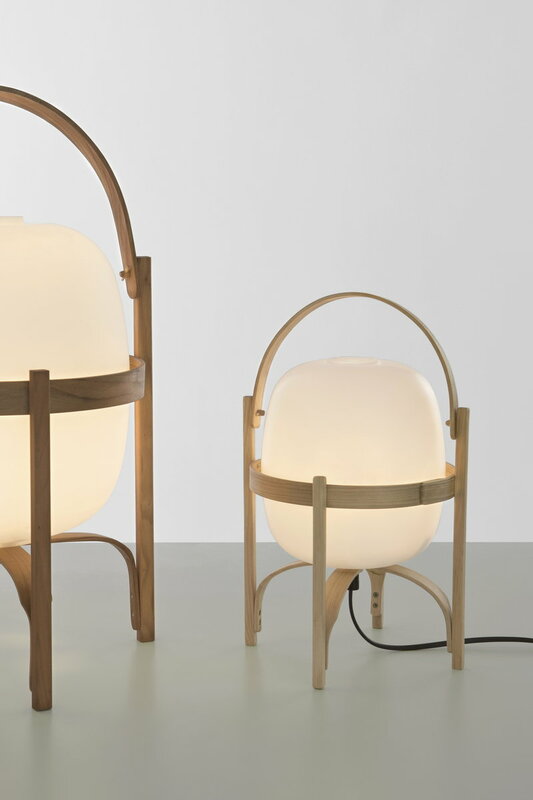 Milá’s work has many references to traditional techniques and old craftsmanship, but his designs are also characterized by a passion for new techniques and materials. 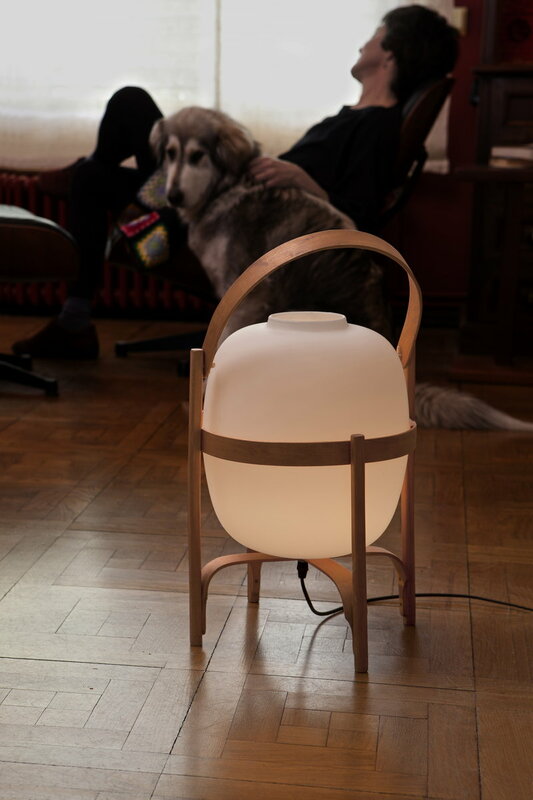 Besides an independent designer, Milá was also one of the founders of the Spanish design company Tramo. 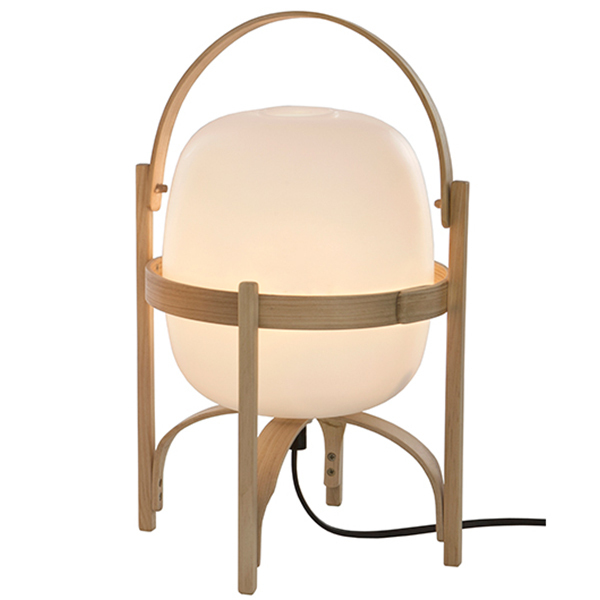 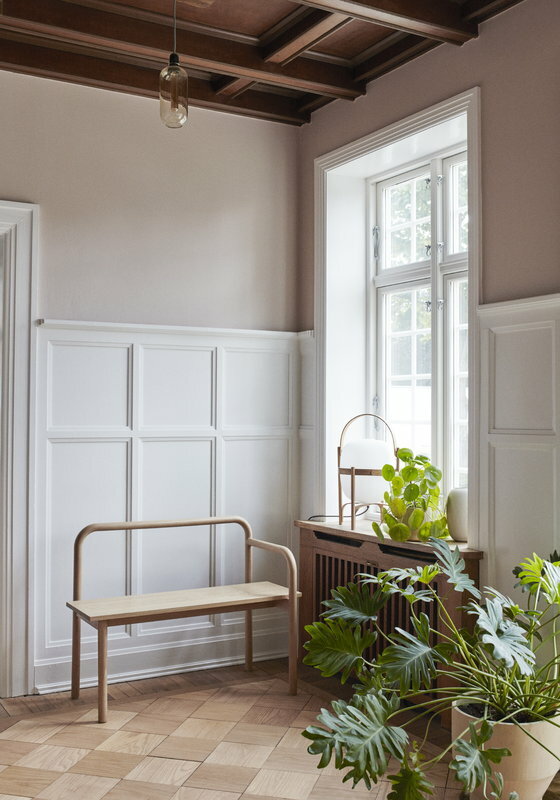 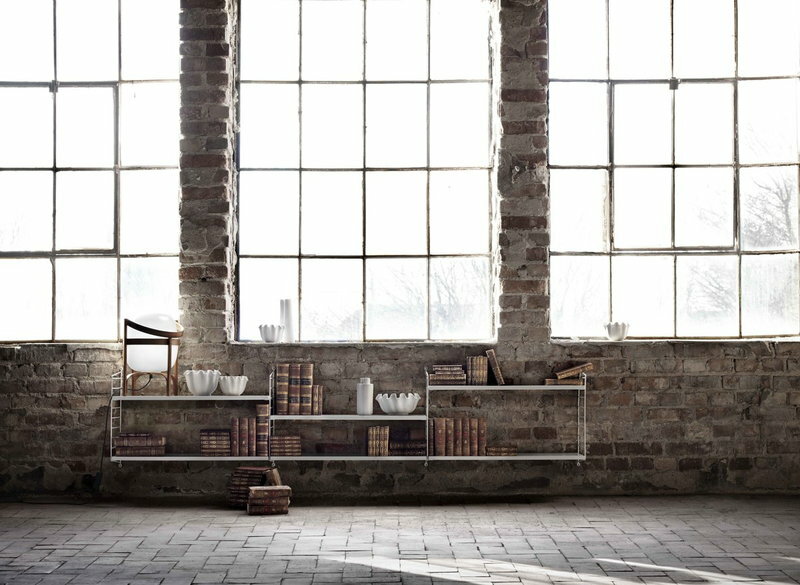 His most famous pieces include the simplistic TMC and TMM lamps as well as the atmospheric Cesta and Cestita lamps, all designed around the 1960s and still being sold today. 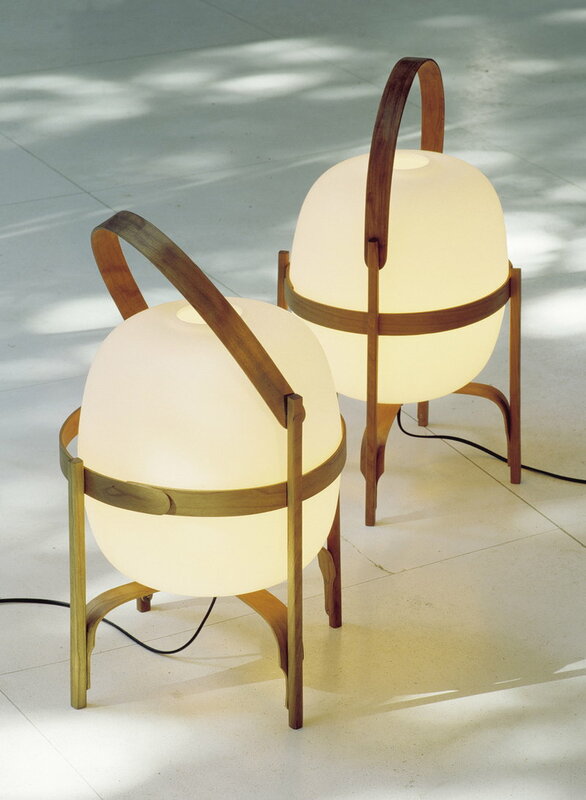 In 1987, Milá was awarded the Spanish Premio Nacional de Diseño prize, and in 2008 he received the Compasso d’Oro award.